One of the great things about living in New York City is being surrounded by a huge variety of cultural events from live theater to art openings to music of every genre. No wonder the City never sleeps! 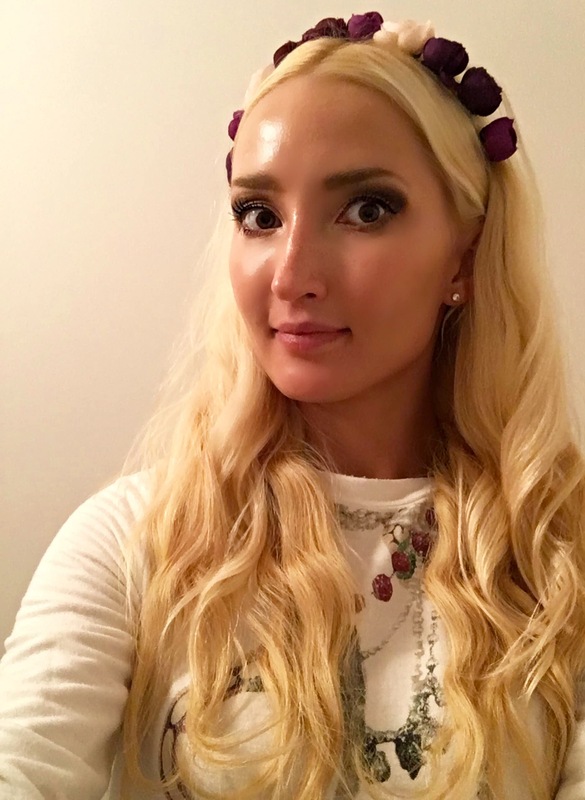 Our very own Liliya (author, model, and videographer for theSTYLetti) takes full advantage of these perks. Last week she attended an evening gallery opening in Tribeca. 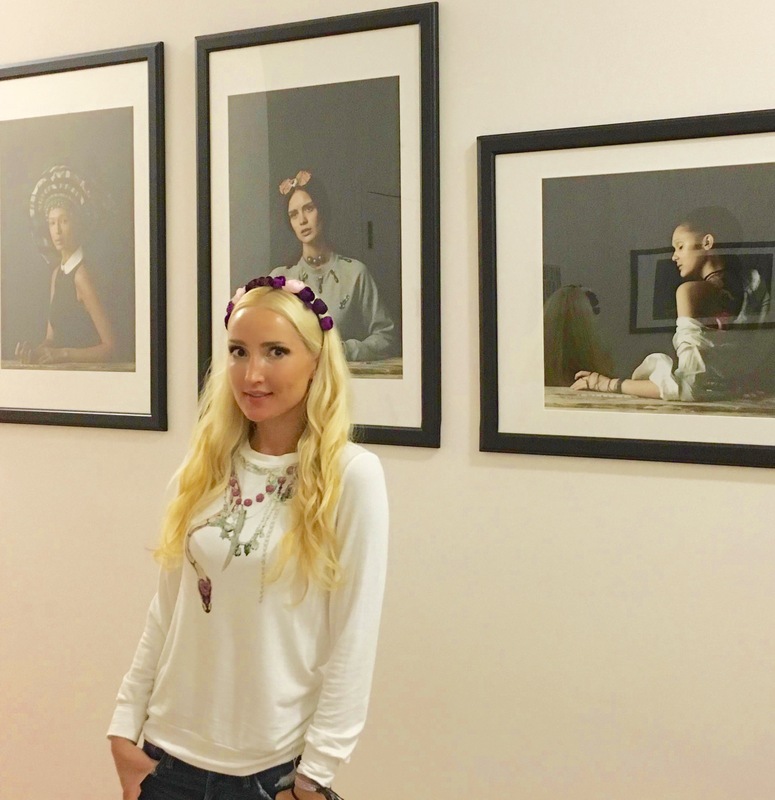 The exhibit featured photography by her talented girlfriend, Veronika (Nika) Belyaeva. 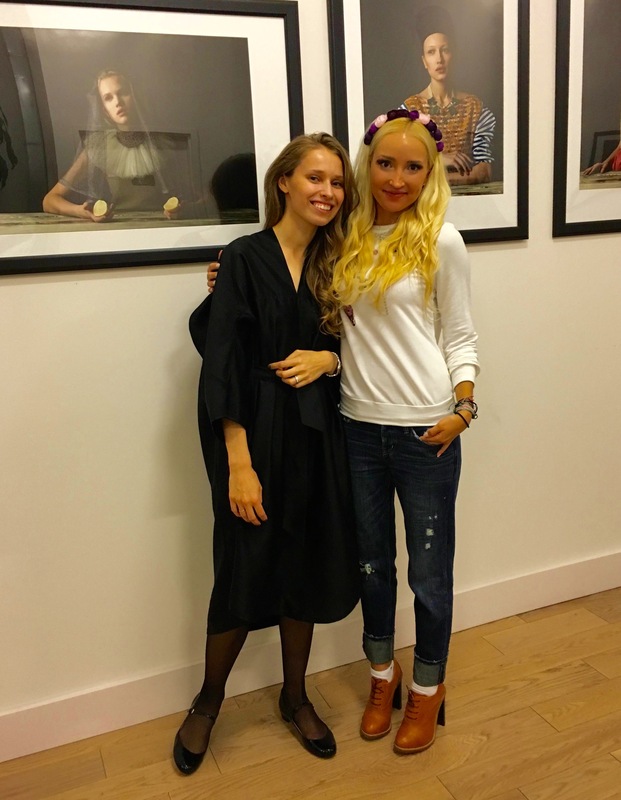 Nika (to the left) designed headpieces of the models in her photography series and this dress. I love how art and style go hand and hand. Style is like the arts in the way that it expresses our innermost selves. And like art, it should communicate a response, so to speak, of what we see around us. That is what makes it vibrant and alive. 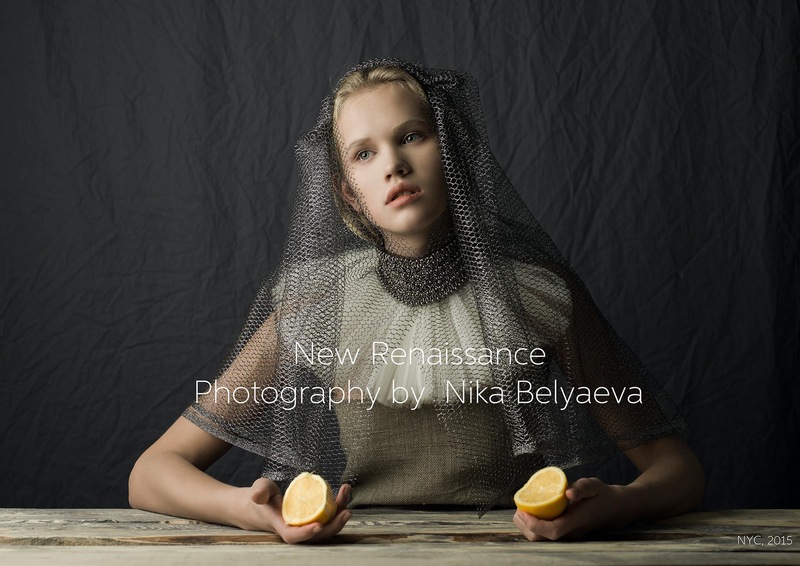 Nika’s photography, featured that opening night, forms part of a series entitled “New Rennaisance.” It brings into the present images from the Renaissance through imitating the era’s lighting and ways of representing the human form – but using modern clothing and (of course) models. Through this method, Nika portrays the timelessness of common beauty. She also represents that moment of patient waiting during which we experience a sudden passion to act. 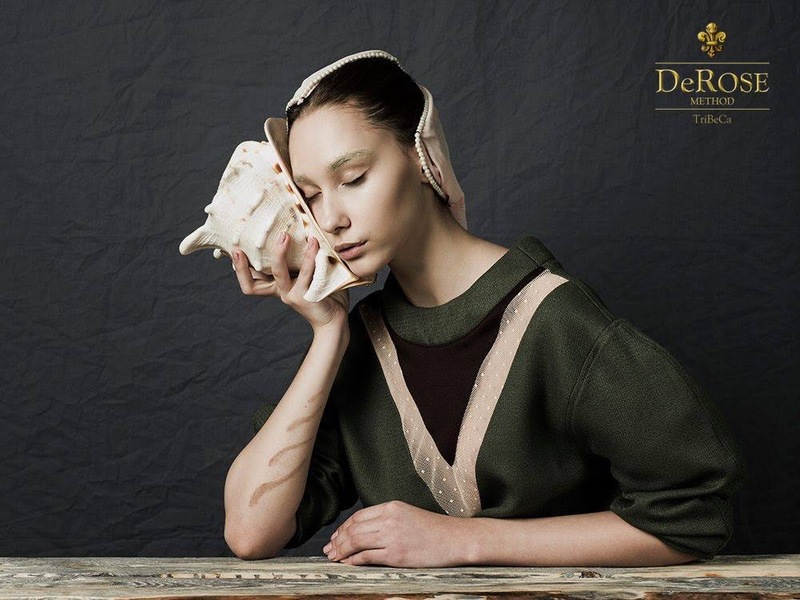 One of my favorite features of the work are elaborate headpieces utilizing modern garments. See Nika’s websites here and here. Liliya’s #OOTN similarly reflects that spirit of borrowing something beautiful from the past – with a band of flowers in her hair. 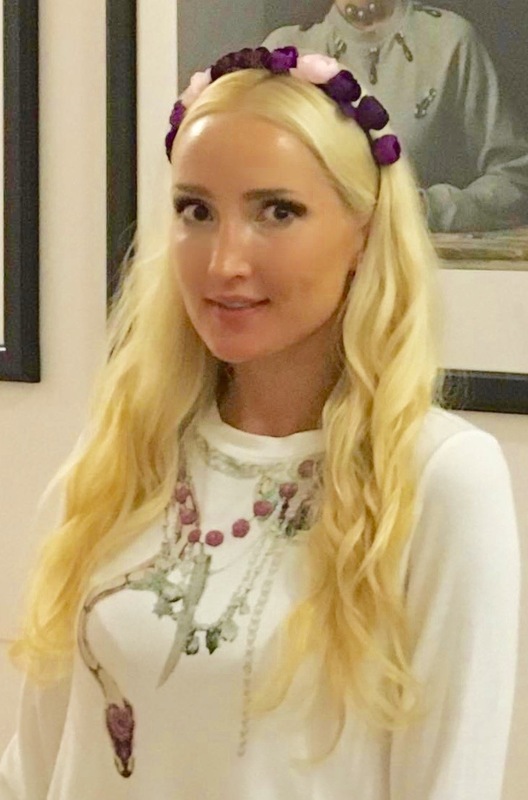 She dons this with a modern Haute Hippy sweatshirt featuring an interesting print: a set of necklaces and flower garland closely matching the headband. The rest of Liliya’s #OOTN is equally up-to-the-moment: cuffed Abercrombie & Fitch boyfriend jeans and Chloé oxford-style ankle boots in that mustard color which is so hot this season. Looking at the #OOTN from an artist standpoint, we can appreciate the symmetry created by the mustard-colored booties, their shot of brightness echoes that of Liliya’s hair. (It would have a similar effect on women with light auburn or red hair). In contrast to damsels in the portrait series, guests that evening were like Liliya, in very casual attire. There was a time when visiting an art opening would have meant wearing our finest formal garments. Since I feel a little nostalgia for those times I never knew, I love this nod of the past of Liliya’s garlands. In distressed denim, the style of this timeless beauty is so alive! Psst! Want to shop a flower headpiece? Check out these links for a headband or flower wreath at Etsy. You look so pretty! Great ankle boots you’re wearing! Thank you for the sweet compliment! ???? I love those boots – got them during my honeymoon in Italy.